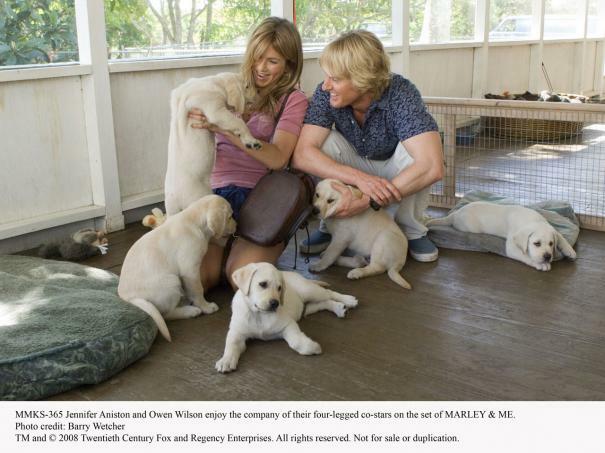 As the snow falls on their wedding night, newlyweds John and Jenny Grogan (Owen Wilson and Jennifer Aniston) decide to leave behind the harsh winters of Michigan and head south to begin their new lives in West Palm Beach, Florida. They obtain jobs as journalists at competing local newspapers, buy their first home, and begin to make their way through the challenges of a new marriage, new careers and, possibly, the life-changing decision to start a family. Unsure of his preparedness for raising children, John confesses his fears to his friend and fellow journalist Sebastian, who comes up with the perfect solution: John should get Jenny a puppy. "There's nothing to it," says Sebastian. "You walk 'em. You feed 'em, you let 'em out now and then." Then came Marley. The Grogans adopt the cute, twelve pound yellow Labrador, who in no time at all, grows into a 100-pound steamroller of unbridled energy that turns the Grogan home into a disaster area. He flunks obedience school, chews off dry-wall, takes a bite out of the sofa, overturns garbage cans, steals a Thanksgiving turkey, consumes pillows and flowers, drinks toilet water, and chases the UPS guy. Even a newly-purchased, expensive necklace isn't safe from Marley's voracious antics. Amidst the mayhem he generates through the years, Marley sees the Grogans through the ups and downs of family life, through job and home changes, and most of all, through the myriad challenges of a growing family. As John and Jenny come to realize, Marley - "the world's worst dog" - somehow brings out the best in them. Steve Martin, Owen Wilson, Jack Black go to the birds! 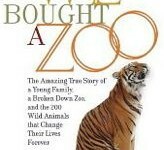 Has Cameron Crowe Bought a Zoo ? Avatar & Holmes Fight It Out for Biggest X-Mas Ever! Both looking to make over $70 million this weekend!